WASHINGTON (AP) — The newest pressure point in the Democratic presidential primary isn’t health care or climate change — though it could make or break future progress on those issues. It’s an overhaul of arcane Senate rules. 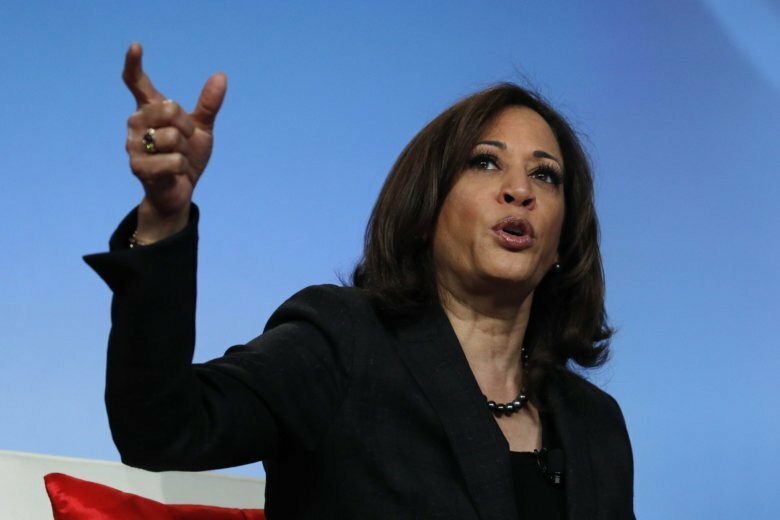 Some prominent liberals are urging Democratic presidential candidates to consider eliminating the filibuster for legislation. Such a move would allow bills to pass through the Senate with a simple majority instead of the 60 votes required now for many measures. The threshold has already been removed — with much controversy — for Supreme Court and most presidential nominees. Though the effort is decidedly wonky, scrapping the filibuster would amount to a seismic change in Washington. Even if Democrats regain control of the Senate next year, the ambitious proposals the party’s presidential candidates are backing, such as Medicare for All, would struggle to win passage if 60 votes are required. Eliminating that barrier, some liberals argue, would clear the path for a new Democratic president to enact some of the most progressive legislation in a generation. Still, the 60-vote requirement has allowed Democrats to block some of President Donald Trump’s legislative priorities, such as his long-promised border wall. Some White House hopefuls are reluctant to get rid of the rule. “I’m conflicted. I see arguments on both sides,” Sen. Kamala Harris, D-Calif., said this week. Harris and Brown signed a bipartisan defense of the legislative filibuster in 2017. The move was organized after Senate Majority Leader Mitch McConnell, R-Ky., changed the rules to allow Supreme Court confirmations with a simple majority vote. Other Democratic presidential contenders who endorsed keeping the legislative filibuster in place then were Minnesota Sen. Amy Klobuchar, New York Sen. Kirsten Gillibrand and New Jersey Sen. Cory Booker. Frustrated by his inability to move big legislation through Congress, Trump has pressed McConnell to kill the filibuster, something the Kentucky Republican has rebuffed. For some on the left — particularly those who recall former President Barack Obama’s struggles as McConnell blocked progress on his bills and nominees — promising voters big action on liberal policies without an answer for GOP filibusters amounts to malpractice by Democratic presidential candidates. Reid’s 2013 decision to nix the filibuster for most executive branch nominees remains a polarizing one for many Democrats. Klobuchar, for one, told NBC News last year that she believes the move was a mistake. But as liberals gain influence and younger activists intensify their pressure on Democratic leaders, candidates are likely to keep getting pressed about their stances on the future of the filibuster. Varshini Prakash, co-founder of the environmental group Sunrise Movement that’s leading the charge for the so-called Green New Deal to fight climate change, indicated her group could support a filibuster overhaul. “Not passing the Green New Deal will jeopardize millions of lives, so we want politicians to do whatever it’s going to take to make the Green New Deal a reality,” Prakash said in a statement. Brian Fallon, a former aide to Senate Minority Leader Chuck Schumer, D-N.Y., warned that even if Democrats win back control of the Senate next year and defeat Trump, their ambitious plans are bound to flounder in 2021 “as long as Mitch McConnell has a veto” in the form of the filibuster. Fallon now helms Demand Justice, a liberal group that works to galvanize Democratic engagement on the federal judiciary. Despite the urging from some progressives for presidential candidates to campaign on changing filibuster rules, it’s not yet clear that the Democratic base will rally around the issue. One prominent liberal group, MoveOn.org, has no position on the issue, according to a spokesman. And even if a Democrat swept into the White House in 2021 after vowing to dismantle the filibuster, convincing a majority of the Senate to vote for a rules change won’t be easy. That’s because many senators value their chamber’s ability to require a 60-vote majority for major legislation, although both parties have taken advantage of rules that require a simple majority for bills that directly affect federal budgeting. For some Democrats, declawing the filibuster for legislation amounts to removing guardrails on more extreme proposals from which the GOP could profit handsomely. Indeed, beyond Warren, the only Democrat running in 2020 who’s so far open to revisiting the filibuster isn’t a senator at all. “The filibuster is an archaic, anti-democratic relic that was turned into a tool to block progress, plain and simple,” Washington Gov. Jay Inslee wrote to supporters recently.